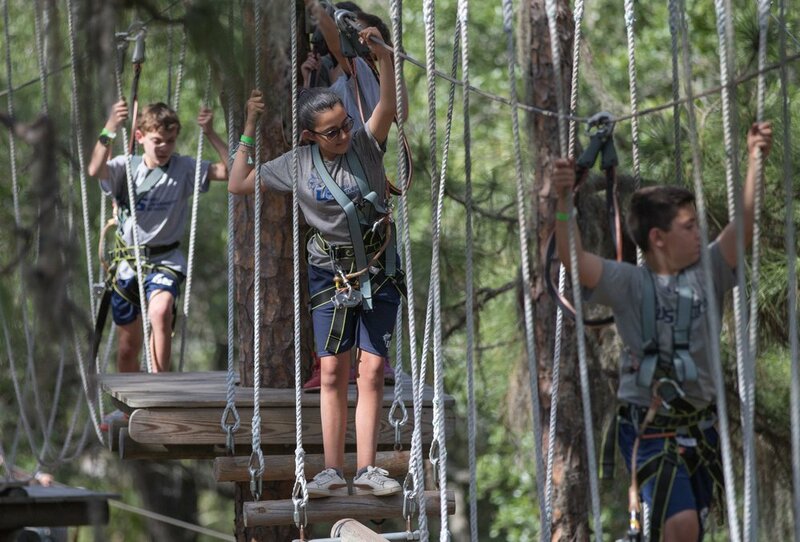 Bring your troop to new heights! TreeUmph! Adventure Course is an ideal, exciting venue for troops of any size to connect, boost individual confidence, enhance motivation and build lasting bonds. With over 100 unique obstacles that grow more challenging as they go, each step is a victory that will have your scouts encouraging and cheering each other on as they ascend towards the Summit. Overcoming the elevated challenge courses as a group creates relationships and memories that will last a lifetime, and will leave each individual inspired by the challenges they conquered with the help of their friends.